Humans (Homo sapiens) have a highly developed brain, capable of abstract reasoning, language, introspection, and problem solving. This mental capability, combined with an erect body carriage that frees the hands for manipulating objects, has allowed humans to make far greater use of tools than any other species. Human evolution encompasses the development of the genus Homo, but usually involves studying other hominids and hominines as well because evolution of humans started as far as 45 millions years ago and included hundreds of genera and divergence and convergences, here we shall look upon the 10 famous and more important human ancestors in chronological order. Eosimias sinensis was first discovered in China. The species is believed to have lived 45 million years before present. E. sinensis was tiny, as small as the smallest monkey and could fit in the palm of a human’s hand. Then comes the Aegyptopithecus zeuxis in Egypt, 30 millions years ago with a small brain size of 14.63 cm3. Then came the fruit eating Proconsul africanus 18 million years ago. Sivapithecus an arboreal specie discovered in Pakistan is a 12.5 million year old was a fruit eating ancestor of modern primates. Oreopithecus bambolii and Lufengpithecus lufengensis are 8 million year old prehistoric primates found in Italy and China respectively. An evolutional link as old as this is hard to establish directly except the Sivapithecus in Pakistan that are most close to modern primates. 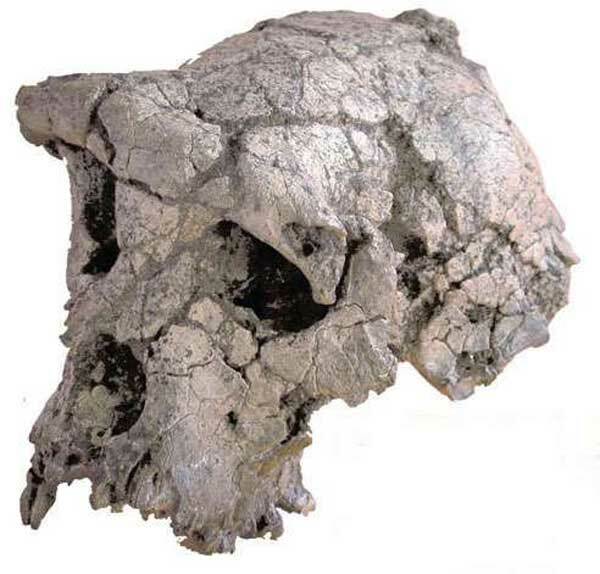 Sahelanthropus tchadensis is an extinct old hominid species which is believed to be almost 7 million years old. Whether it can be regarded as part of the Hominina tree is unclear; there are arguments both supporting and rejecting it. Another complication in its classification is that it is older than the human-chimpanzee divergence (estimated to 6.3 to 5.4 million years ago) seen in genetic data,and that there are few if any specimens other than the partial cranium. The braincase, being only 320 cm³ to 380 cm³ in volume is similar to that of extant chimpanzees and is notably less than the approximate human volume of 1350 cm³. The teeth, brow ridges, and facial structure differ markedly from those found in Homo sapiens. Cranial features show a flatter face and u-shaped teeth piece. Orrorin tugenensis is considered to be the second-oldest known hominin ancestor that is possibly related to modern humans. The strata in which the fossils were found were estimated to date between 6.2 and 5.6 million years ago. The fossils found so far come from at least five individuals. There are proofs that Orrorin walked upright and bipedally; data was suggestive of tree-climbing skills. The small teeth size suggest that Orrorin ate mostly fruit and vegetables, with occasional meat. Orrorin was about the size of a modern chimpanzee. Australopithecus afarensis is an extinct hominin which lived between 3.7 and 2.9 million years ago. A. afarensis was slenderly built, It is thought that A. afarensis was ancestral to both the genus Australopithecus and the genus Homo, which includes the modern human species, the Homo sapiens. The most famous fossil is the partial skeleton named Lucy (3.2 million years old) by Donald Johanson and colleagues. Australopithecus afarensis fossils have only been discovered within northern Africa. A. afarensis was almost exclusively bipedal. The curvature of the finger and toe bones is most likely reflective of their ability to efficiently grasp branches and climb. A. afarensis also has a relatively small brain size (~380–430 cm³) and a projecting face. Australopithecus africanus was an early hominid, who lived between 2–3 million years ago. A. africanus was slenderly built, or gracile, and was thought to have been a direct ancestor of modern humans. Fossil remains indicate that A. africanus was significantly more like modern humans than A. afarensis, with a more human-like cranium permitting a larger brain and more humanoid facial features. A. africanus has been found at only four sites in southern Africa.